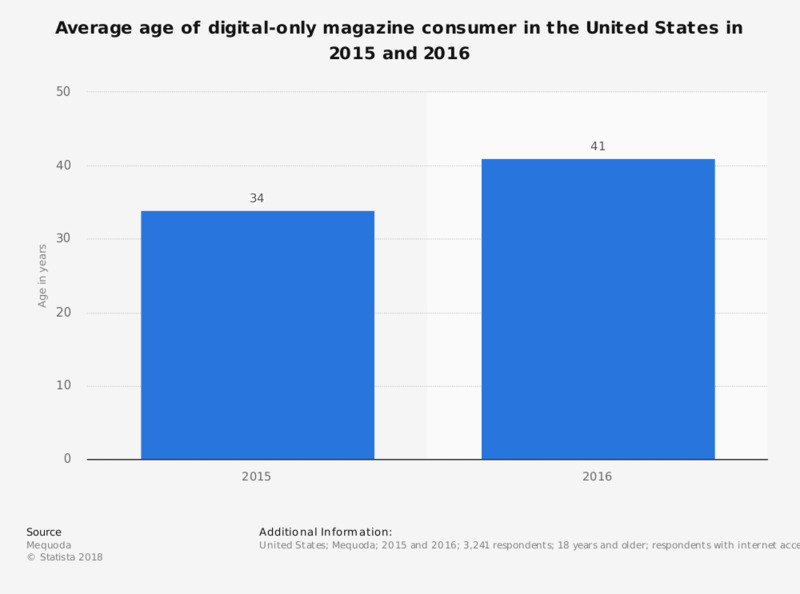 The statistic shows the change in average age of digital-only magazine consumers in the United States in 2015 and 2016. The survey results show that the average age of the digital-only magazine reader was 34 years in 2015. The source does not provide mroe exact survey dates.